NEW YORK, NY (July 11, 2017) – In a study published today in the July, 2017, issue of Neurology® Genetics, an official journal of the American Academy of Neurology, researchers at the New York Genome Center (NYGC), The Rockefeller University and other NYGC member institutions, and IBM have illustrated the potential of IBM Watson for Genomics to analyze complex genomic data from state-of-the-art DNA sequencing of whole genomes. The study compared multiple techniques – or assays – used to analyze genomic data from a glioblastoma patient’s tumor cells and normal healthy cells. The study also showed that WGS identified more clinically actionable mutations than the current standard of examining a limited subset of genes, known as a targeted panel. 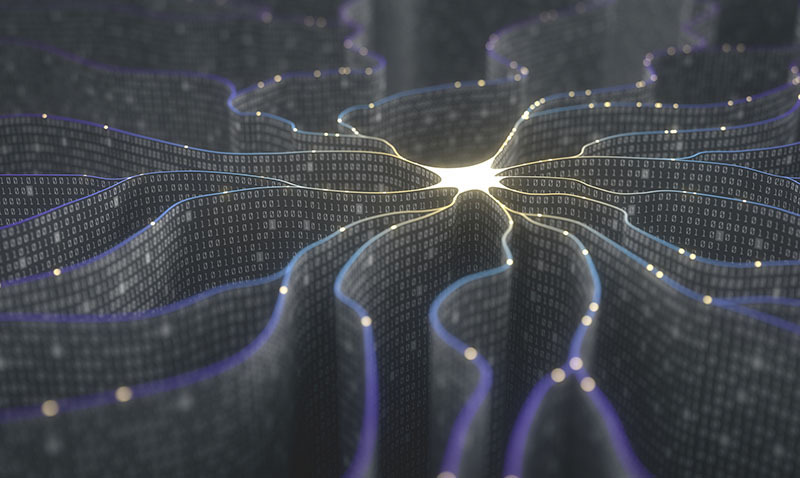 WGS currently requires significantly more manual analysis, so combining this method with artificial intelligence could help doctors identify potential therapies from WGS for more patients in less time. Interpretation of genome sequencing data is a significant challenge because of the volume of genomic data to sift through, as well as the large, growing body of research on molecular drivers of cancer and potential targeted therapies. This informatics challenge is often a critical bottleneck when dealing with deadly cancers such as glioblastoma, with a median survival of less than 15 months following diagnosis. “Our partnership has explored cutting-edge challenges and opportunities in harnessing genomics to help cancer patients. We provide initial insights into two critical issues: what clinical value can be extracted from different commercial and academic cancer genomic platforms, and how to think about scaling access to that value,” noted the study’s Principal Investigator, Robert Darnell, MD, PhD, Robert and Harriet Heilbrunn Professor and Senior Attending Physician at The Rockefeller University and Founding Director of the New York Genome Center. In the study, NYGC researchers and bioinformatics experts analyzed DNA and RNA from a glioblastoma tumor specimen and DNA from the patient’s normal blood, and compared potentially actionable insights to those derived from a commercial targeted panel that had previously been performed. The whole genome and RNA sequencing data were analyzed by a team of bioinformaticians and oncologists at the NYGC as well as a beta version of IBM Watson for Genomics, an automated system for prioritizing somatic variants and identifying potential therapies. The beta version of Watson for Genomics processed abstracts and in some cases, full text articles from PubMed, a comprehensive source of more than 27 million citations for biomedical literature. With this information, the NYGC and Watson collaborated to identify gene alterations that can be therapeutically targeted. The study was part of the NYGC’s and its Institutional Founding Members’ ongoing efforts to advance the use of next-generation sequencing, particularly WGS, in precision medicine. The NYGC and its founding member institutions are conducting additional studies involving Watson to help accelerate the discovery of potentially actionable sequence variants in various types of cancer, including an ongoing study that involves DNA and RNA from a larger cohort of glioblastoma patients, and a study of 200 patients with different types of cancer. This study, conducted from 2015-2016, utilized a beta version of Watson for Genomics, which is now commercially available for genomic data interpretation through partnerships with Quest Diagnostics, Illumina, or as a cloud-based software for clinicians and researchers. Watson for Genomics is also used in clinical practice at the VA Health System.